Here is a fun activity to go along with March Madness. 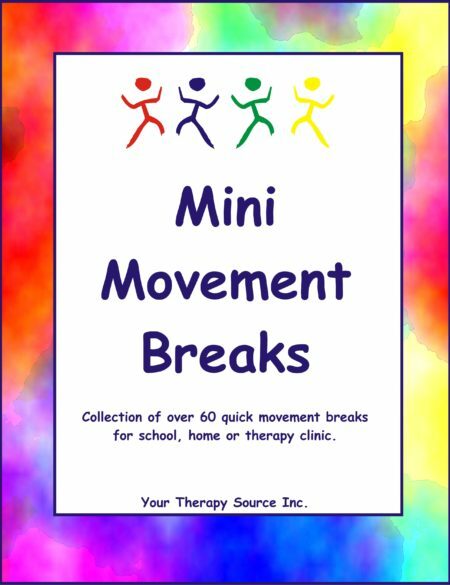 Have the children and/or school staff vote for their favorite physical activity or therapy activity. You could actually use these brackets any time of year to gauge what physical activity or therapy activity children enjoy the most. It also helps to give the children ideas for leisure activities outside of school time. Directions: Take a vote each week in March. Week 1: Student votes for one activity from each bracket in Round 1. Tally the votes and place the winner in the 2nd round of brackets. Week 2: Students choose favorite activities from Round 2. Tally votes and place winner in Round 3 of brackets. 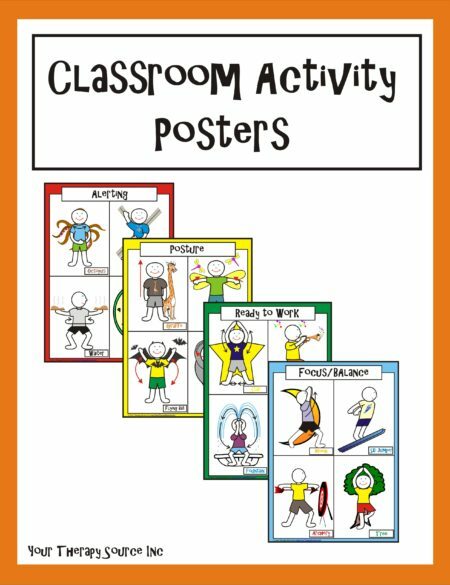 Week 3: Students choose favorite activities from Round 3. Write winners down in 4th round. Week 4: Vote from the last two activities to pick an overall winner! The brackets are in large size and one with 2 per page if you want the children to circle the activity to cast their vote. 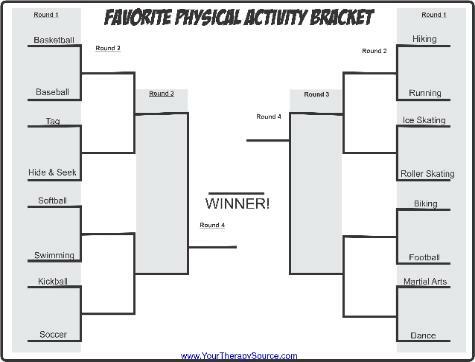 One bracket is for general physical activity and one bracket is for therapy activities. Let the best activity win!!!! !